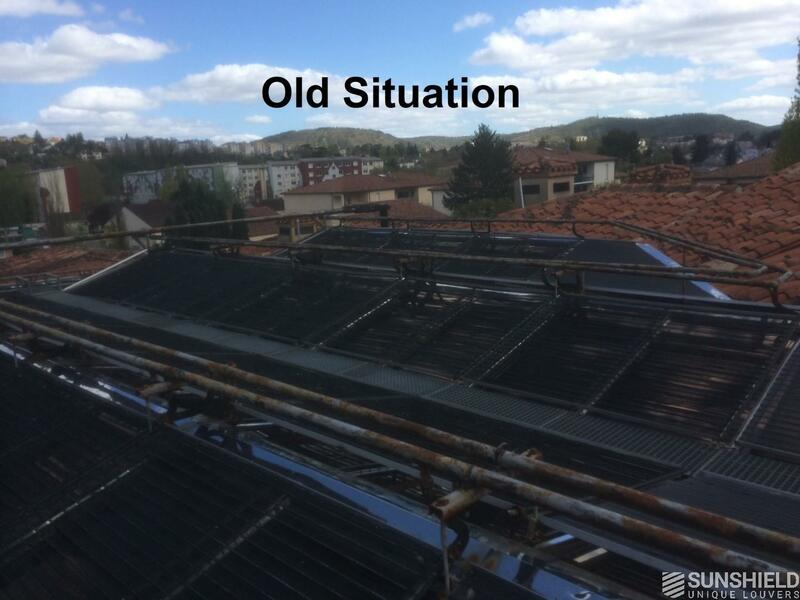 Although there was another solar protection system in place, Banque Populaire in Cahors (France) decided to invest in Sunshield 145E system, with full automatic control of Somfy, to control sun- and daylight and to avoid the severe solar heating problems for the close to the 1000 m2 fully glazed atrium. 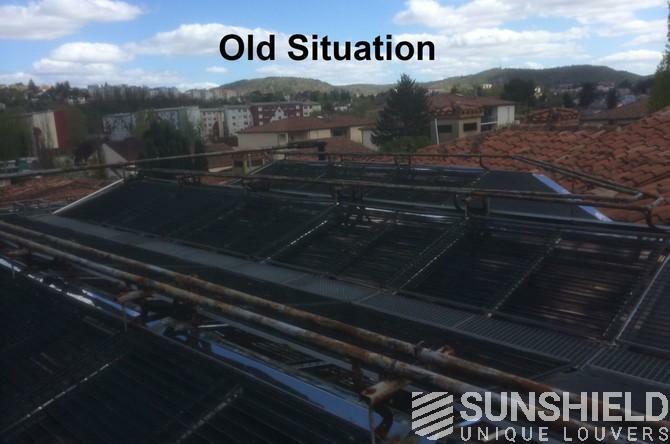 The solution has been designed and installed by Sunshield's partner Selves in Montauban, with direct support of Somfy France for the automatic control and steering of the tilting louvers. They end result is a very robust and easy to operate system. Banque Populaire Cahors comments: "Sunshield & Selves exceed the expectations we had. The system really contributes to an excellent environment for our customers and employees in all weather circumstances.